Pharmacy Technicians work in retail pharmacies, mail order pharmacies, home infusion pharmacies, clinics, hospitals, and other pharmacy settings to dispense prescriptions under the direction of a registered pharmacist. The pharmacy technician program prepares students with the skills, knowledge, and competencies to dispense prescriptions according to a doctor’s orders. Students learn how to receive and interpret prescriptions, retrieve medications in the correct dosage form and strength, measure, weight, count, or pour the medication, label the containers, and dispense to the customer with appropriate instructions. In some settings, a pharmacy technician might prepare drugs for intravenous use – so the program will cover admixture preparations. 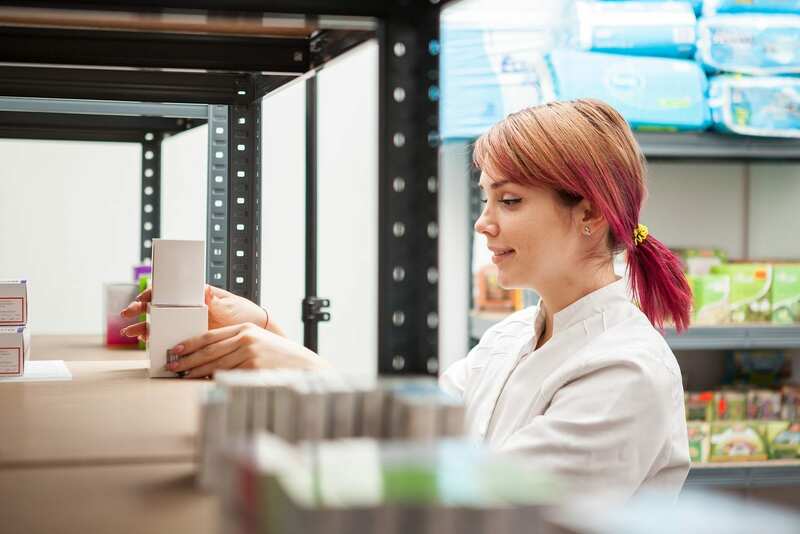 In addition to dispensing prescriptions, a pharmacy technician’s duties might include assisting customers, referring patients to the pharmacist for counsel, receiving and checking inventory, maintaining a clean environment, and preparing insurance forms. As the demand for pharmacy technicians increases in response to the wider availability of new drugs, the shortage of registered pharmacists, and the health care needs of the population, graduates will have the assurance of finding a job after completing the pharmacy technician program. The Pharmacy Technician Assistant program at Lawson State Community College prepares students to assist a licensed pharmacist in an institutional or retail pharmacy. The curriculum covers 29 semester hours in two semesters. Course topics include orientation to college, introduction to pharmacology, pharmacy math and terminology, pharmacology, and drugs and health. During the second semester, students will learn billings and computers, institutional pharmacy, pharmacy practice, and pharmacy technician practice I and II. In addition to these modules, students will learn drug calculation, drug classification, prescription terminology, and side effects of the top 200 drugs. The program admits new students in the fall semester. Tuition costs $152 per semester hour plus expenses for books, fees, and supplies. The pharmacy technician program at Health Care Connection prepares students for success on the PTCB exam and employment as a pharmacy technician. Students learn how to receive, interpret and prepare prescriptions for dispensing, calculate dosages, attend to customer service issues, measure, count, weigh and pour medications, practice within the ethical and legal guidelines of pharmacy practice, maintain inventory, and update patient profiles. The curriculum covers 72 contact hours of lectures in the classroom. Students must attend all classes – no absences are allowed. Students will receive a certificate of completion after achieving a final exam score of 70 percent or higher on the final exam and a 100 percent on the clinical. All registration is by appointment only and students are accepted on a first come first serve basis. Students must sign the financial agreement, Lift Free Facility Form, and HIPAA Statement. Tuition costs $790. Healthcare Connection offers job placement services for all graduates. A Job Search Seminar is open to graduates who desire instruction on resume building and interview techniques. The comprehensive pharmacy technician program at Jefferson State Community College covers 60 hours of preparation for the Pharmacy Technician Certification Board’s (PTCB) exam. Students learn medical terminology, dosage calculations, inventory control, dispensing of prescriptions, I.V. flow rates, and billing and reimbursement. Other topics for study include the role of the pharmacy technician, pharmacy history, generic drugs, aseptic techniques, prescription label requirements, basics of IV solutions, children’s doses, classes of drugs, prescription label requirements, and pharmacy measures. Students will complete a graded final exam in preparation for the PTCB exam. Tuition for the program costs $899. The course textbook is $150. The cost of the certification exam is not included in the fee. Scholarships may be available through the Workforce Investment Act (WIA) for eligible students.